Users of the recently launched Freeview Play service will soon be able to access on-demand and catch-up TV content from Dave, Really, Yesterday and Drama on their devices. In the next few weeks, channel owner UKTV will launch UKTV Play on Freeview Play via a new app, which will automatically become available on compatible devices. The new app boasts an array of features including UKTV Play-exclusive previews of new series and a function called "My List", allowing users to create their own bespoke collection. Viewers will also be able to catch-up on shows on the four channels directly from the Freeview EPG, by scrolling backwards over the past week's listings. Users of the service will be able to watch popular UKTV Originals David Gorman Modern Life is Goodish, Alan Davies: As Yet Untitled and Storage Hunters UK. For ease, UKTV has also handpicked collections of programmes, organised by themes and moods; and viewers’ favourite TV stars offer their viewing recommendations via celebrity picks. Users can also view their history and enjoy the handy ‘resume’ playback function. 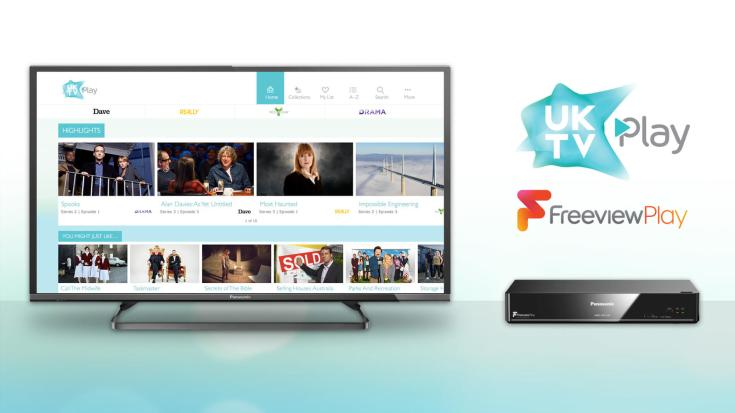 Freeview Play joins Amazon Fire TV and Fire TV Stick, YouView, Virgin TV and BT TV in offering the on demand service, which is also available on iOS, Android and PC.